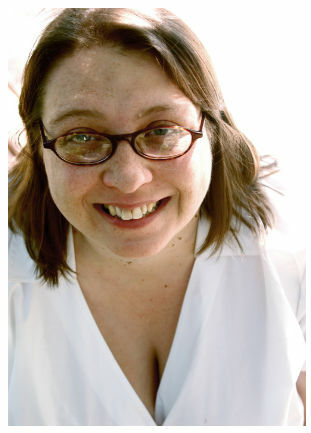 Merie Kirby lives in Grand Forks, ND and teaches at the University of North Dakota. She is the author of The Dog Runs On (Finishing Line Press, 2014) and The Thumbelina Poems (Red Bird Chapbooks, forthcoming 2015). Her poems have been published in Willow Review, Midwest Poetry Review, Avocet, and other journals; she also writes operas and art songs in collaboration with composers. I have spent at least a week thinking about this. It is the hardest question in this interview! But I keep coming back to Jane Eyre – a book I first read when I was 14 because an aunt told me she wasn’t sure I was ready to read it. Which seems a very Jane thing to do, actually. And later I read it in school. And I’ve taught it several times now. What I like about Jane, what keeps me thinking about her, is that she is very contrarian (as she is accused of being) because she is very intent on being herself. All around her is a society that would very much prefer her to be otherwise, and she might waver, might try on something else, but ultimately she must be herself. Her inconvenient self. The poems of Emily Dickinson are one answer, but I think I have to give equal time to Charlotte Bronte’s Jane Eyre and Eve Curie’s biography of her mother, Marie Curie. I feel like each of these works taught me something about writing – about poetry, fiction, and memoir/biography – but also gave me models of women who followed the work or life they were passionate about. How did your poem in Alyss come about? The poem At six I wanted to marry Godzilla came about through that always curious mix of truth and fiction – I distinctly remember being, at around six, madly in love with Godzilla. Now, of course, that potential relationship is clearly problematic, but perhaps, I thought, there are ways that it might still be true. And, perhaps, sometimes I want to be able to be the hurt and angry monster and experience the safety net of another’s love. Holding my first chapbook, The Dog Runs On, was a pretty great moment. Hearing my daughter read her favorite poem of mine to a friend was also pretty great. But I think the greatest moments of my writing life have actually been moments spent with poet-friends, writing together and enjoying hearing each other’s writing, and talking poetry with each other. Those are the moments that feed me. What is your favorite piece by another writer from Issue Deux and why? There are a lot of great pieces to choose from in Issue Deux! But I think Moth Queen by Ellie Slaughter, with it’s wonderful fairy tale imagery nestled up against very modern references is the piece that really caught at my imagination. Last September I participated in Tupelo Press’s 30/30 Project, writing a fresh poem a day and posting it. It was so much fun, and I could not believe that not only did I write a poem a day for 30 days, but I ended up with about 23 of them that I felt had a lot of potential. I went in hoping for maybe 10, so 23 is fabulous. I’m revising those 23 now, working towards another chapbook, or perhaps the kernel of a full-length manuscript. I think it has to be Alice who passed through the rabbit hole portal – I have always particularly loved her encounter with the pig baby and the pepper. This entry was posted in Blog, Les Femmes Fatales. Tagged alice in wonderland, Emily Dickinson, Jane Eyre, Kirby, Merie Kirby.